Christians are called to care for God’s creation. 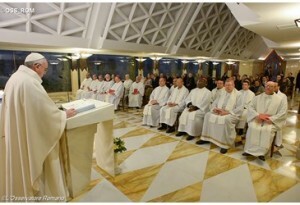 That was the Pope’s message at Mass this Monday morning at the Casa Santa Marta. The Holy Father also spoke about the “second creation”, the one performed by Jesus that he “re-created” from what had been ruined by sin.